Spanish Desserts Delicious Spanish dessert and sweet recipes Look to see how the Spanish make them on these videos. 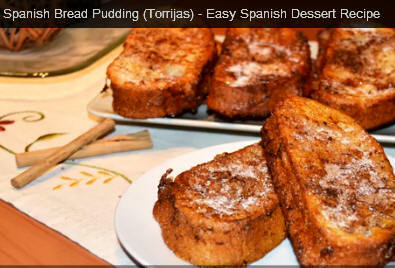 The Spanish Fried Milk Dessert (Leche Frita) from cooking deserts. Fried milk desert (Leche frita) is truly a Spanish classic dessert recipe.its definitely worth a try if your looking for something different. Infused with a hint of cinnamon, orange and lemon, this easy rice pudding brings a little bit of Spanish flavour to your kitchen – perfect for the depths of winter, when we need it most! 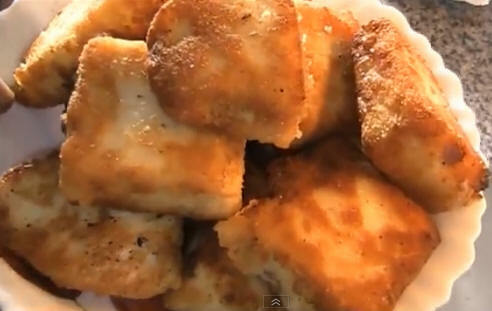 Learn how to make a Spanish bread pudding or “torrijas”, a traditional Easter fare in Spain that consist of slices of stale bread soaked in milk and beaten egg, fried in vegetable oil and sprinkled with sugar and cinnamon powder (or honey if desired). This dessert is absolutely delicious! P.S. : We are not native speakers of English, so we apologize for any errors in this video. Delicious and sweet roasted pumpkin. Great dessert for the whole family. Spain info covers local towns with local accommodation. 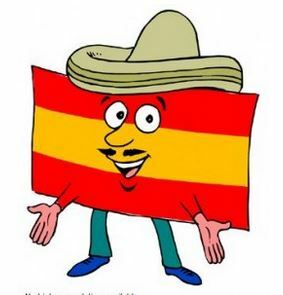 Spain info also covers info local days out in Spain on the Mediterranean. It also covers Spain info with information on gardening in Spain Mediterranean style. Spain info with information on cooking Mediterranean style. Also Spain info also covers Bowls Clubs Golf Go Karting fishing Caves and other sports here in the Mediterranean.